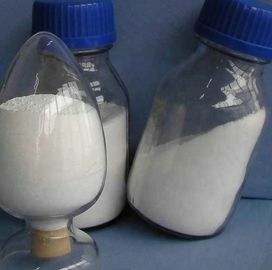 Titanium dioxide (TiO2) is an important inorganic chemical product, which has been widely used in coatings, ink, paper making, plastic rubber, chemical fibers, ceramics and other industries. Titanium dioxide is a kind of white pigment.It is a polycrystalline compound with regular particle arrangement and lattice structure. Titanium dioxide has the lowest relative density. The production process of titanium dioxide includes sulfuric acid process and chlorination process.TiO2 has two kinds of structures: Rutile R and Anatase A. The rutile crystal structure is compact, stable and has low optical activity, so it has good weather resistance, high covering power and achromatic power. R990 is an rutile titanium dioxide pigment produced by the sulfate process. It has high level of hiding power, gloss, durability, whiteness. It has a good dispersity and chalk resistance. It is a polycrystalline compound with regular particle arrangement and lattice structure. Titanium dioxide is widely used in paint industry, especially rutile titanium dioxide, most of which are consumed by paint industry. The paint made of titanium dioxide has bright colour, high covering power, strong colouring power, low dosage and many varieties. It can protect the stability of the medium, enhance the mechanical strength and adhesion of the paint film, prevent cracks, prevent ultraviolet ray and water penetration, and prolong the life of the paint film. Storage details: No decomposition at room temperature, but should be stored in a cool and dry place. Keep away from hot, fire source, avoid direct sunlight. Recommended storage and mixing areas have good ventilation conditions to avoid inhalation. Transportation according to the general chemicals.